TOUS les JOURS made its way to Fujian in China. CJ Foodville announced on Nov. 9 that its bakery brand TOUS les JOURS had opened its first and second bakeries in Fujian, China, providing a solid foundation upon which to expand its business in the future. The opening of two stores in Fujian means that TOUS les JOURS has secured an important foothold in China to prepare for full-fledged business expansion and that it has grown two-fold over the last year in terms of the number of stores. 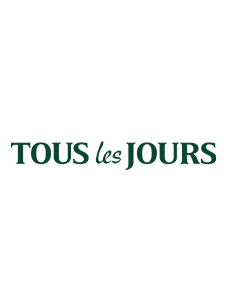 TOUS les JOURS plans to increase the number of stores in China to 1,600 by 2017. 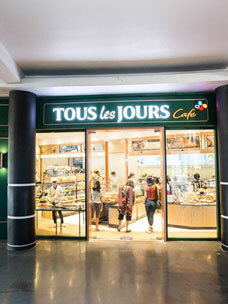 TOUS les JOURS has put in place a master franchise (MF) agreement, enabling it to expand its foothold in the Chinese market with a new growth engine. The mater franchiser in the MF contract hands over control of business activities under its brand name to a local partner, rather than directly entering the market itself. The master franchiser controls quality and service in return for royalties, which facilitates business growth at a faster pace than would be achievable under direct investment while also lowering business-related risks. Since the MF was completed with the local company in Sichuan this January, TOUS les JOURS has completed MF contracts with local companies in Henan and Shanxi in June and in Shanxi and Fujian in August. Since then, it has opened up three bakery stores in Sichuan and one store in Henan, significantly expanding its market. The first and second TOUS les JOURS stores under the MF agreement held an opening ceremony on Nov. 7 and are located in Taihe, a commercial hub, and Shengburo, the heart of cultural activities. Both stores are a premium cafe-style bakery and are each approximately 160㎡ in size. Fujian province is on the South East coast of China, a region widely seen as an area with particularly high economic development. The area is also a key region to Chinese marine businesses, as China’s largest marine economic station will be stationed there by 2020. Fujian also has a high average income and considerable consumption, with the province continuing to rank in the top ten of China’s 34 provinces in terms of GDP. CJ Foodville said “TOUS les JOURS has made a direct entry into five Chinese cities, namely Beijing, Tianjin, Shanghai, Weihai and Suzhou and completed a MF contract with companies in five provinces of Sichuan, Henan, Shanxi, and Fujian. It has now successfully built up a solid foundation for aggressive business expansion in China going forward. We will carry the momentum and unfold aggressive business activities from 2014.”TOUS les JOURS currently runs 124 stores in seven countries: China, US, Vietnam, Indonesia, Philippines, Cambodia, and Malaysia. 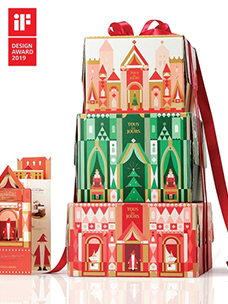 Among the different foreign markets in which it operates, TOUS les JOURS has positioned itself as the number one bakery in Vietnam where it leads in terms of number of stores and revenue. 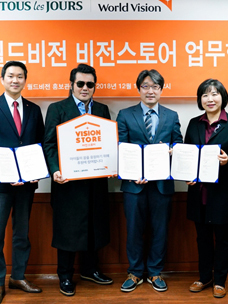 bibigo focuses on the winter peak season with a broad range of marketing activities.